At 584 Bank St everything you could possibly want is just steps away. Located in the heart of the highly sought-after Glebe neighbourhood, this apartment is perfect for young professionals and students. This unbeatable location is just minutes away from Lansdowne Park, plentiful shopping, restaurants and so much more. 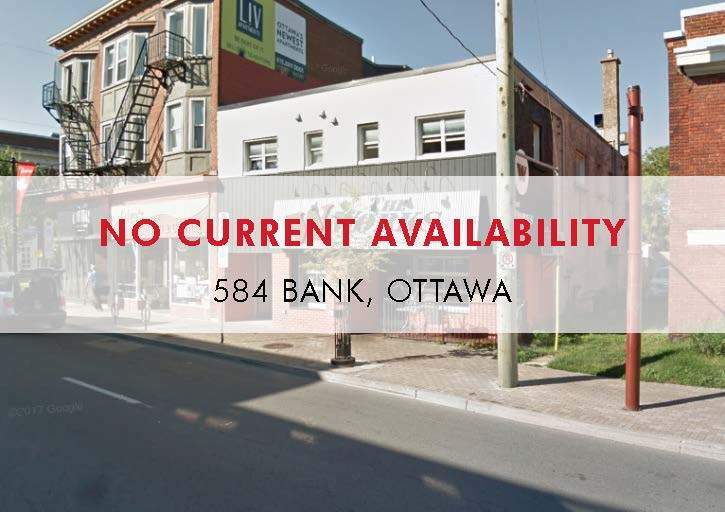 Featuring hardwood floors, plenty of natural light and a pet friendly environment this building has everything you could want in an apartment rental! With the HIghway 417 just streets away and public transportation at your doorstep, commuting around the city will be a breeze and allows for endless exploration of everything Ottawa has to offer.